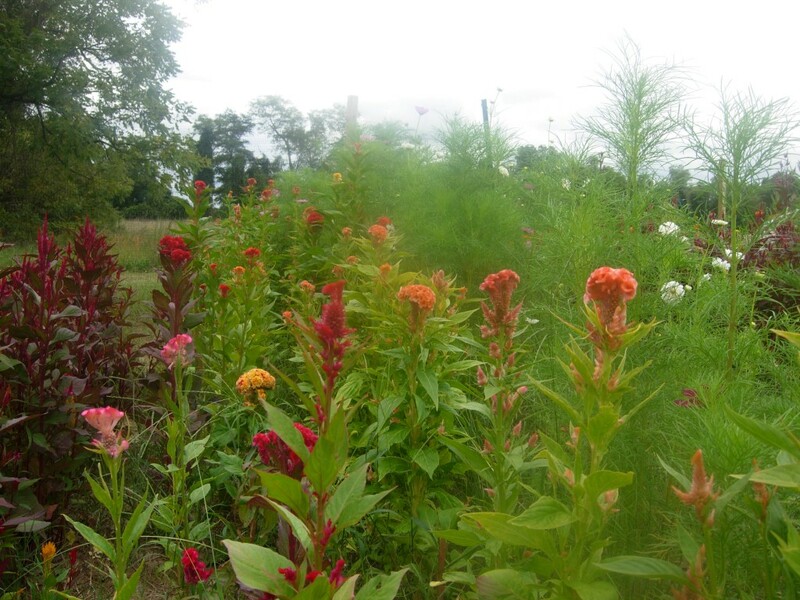 The garden puts on its best show this time of year–the colors are almost surreal in their vibrancy. And so it is, every fall, that I have those mixed feelings of sadness and relief. My favorite time of the year is winter, when the world is at rest and my imagination takes hold, but it is hard to see the garden pale and then brown away for the season. It takes a while for my hands to recover: for my fingernails to finally come fully clean, and the cuts to heal. . . and I find myself picking up the knitting needles in place of flower stems to arrange. There is a season, turn, turn, turn. . . But, for now, the colors, the movement, the show.